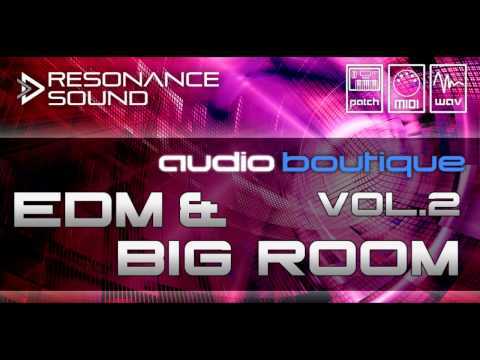 Audio Boutique’s latest installment, “EDM & Big Room Vol. 2”, comes to rescue and supplies you with the latest & greatest to create hits even surpassing chart kings like Ummet Ozcan, W&W, Tujamo, Hardwell, Headhunterz, R3Hab, MOTi or Tiesto! Tags: EDM, Electro House, MIDI, Progressive House, Vocals. Audio Boutique’s latest installment, “EDM & Big Room Vol. 2”, comes to rescue and supplies you with the latest & greatest to create hits even surpassing chart kings like Ummet Ozcan, W&W, Tujamo, Hardwell, Headhunterz, R3Hab, MOTi or Tiesto! Containing 10 construction kits filled with highly creative and freshly crafted breaks, tense built ups and epic drops (incl. stems, one shots, loops and MIDI files, of course), you got everything at hand to get going. Needless to mention the creators took great care of maximizing flexibility and providing each file ready-to-use including common sampler mappings and much more.